Sugar, in all of its many forms, has made its way into more packaged products than the majority of us realize. If you find yourself surprised at how harmful sugar is on our health- you’re not alone. It turns out the food and beverage industry has played a a major role in downplaying the harmful effects of the sweet stuff. A recent article written by Anne Kavanagh, from the University of California San Francisco (UCSF), reveals a study conducted by UCSF researchers on the link between sugar and disease and the tactics used by the food and beverage industry to downplay the harm. The article cites Dean Schillinger, M.D., the chief of internal medicine at the San Francisco General Hospital, who notes that the incidence of diabetes has more than tripled since the 1970s. He attributes this dramatic increase to several factors including “societal shifts” in our lifestyles, larger “portion sizes” and the spike in consumption of added sugars. The article notes the growing amount of evidence connecting the overconsumption of added sugars to heart disease, diabetes, cavities and liver disease. Here’s the kicker. The sugar industry has gone to great efforts to cover up the science. The article outlines the work conducted by Cristin Kearns, DDS, MBA who discovered the powerful role of the Sugar Association, a trade group featuring prominent sugar producers. Kearns revealed that the sugar industry has participated in decades-long efforts to “downplay sweeteners’ potentially harmful health effects”. Kearn’s work highlights evidence of the industry’s attempts to “manipulate science” and impact public opinion. What does this mean for us? 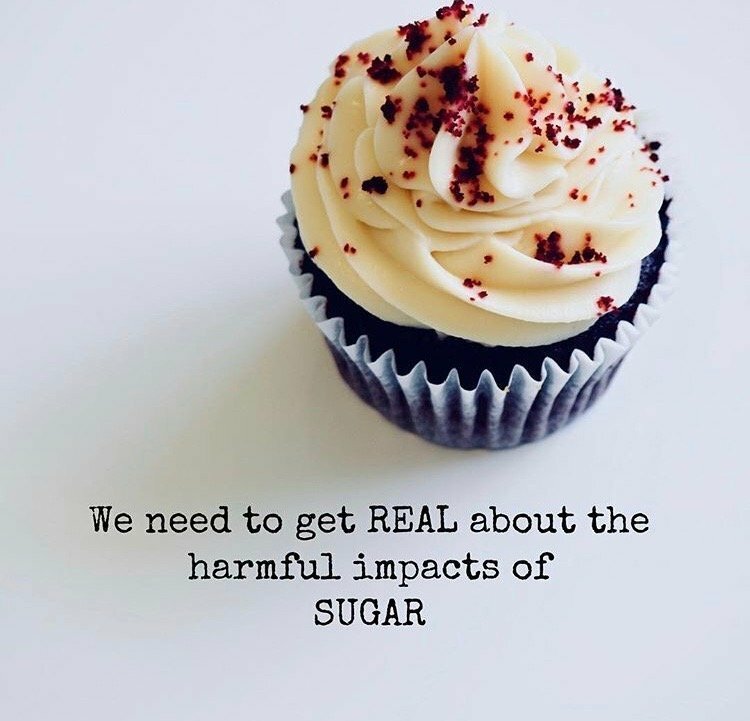 It means we need to take the science of sugar seriously. Sugar is found in an array of food choices and it’s harming our bodies and is putting us at greater risk for disease. So ask yourself, what’s the role of Sugar in my life? How does it impact me? We all have the power to make informed decisions when it comes to our health, particularly, when it comes down to the food we choose to eat.